Hi everyone...Travis here with some fun, and historical, Tampa Bay entertainment options for you. You&apos;ll need to come out and see it for your own eyes, but fun things will be happening at the Tampa Bay Hotel (aka Henry B. 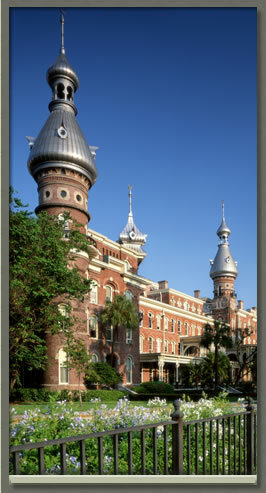 Plant Museum on the University of Tampa campus). The Henry Plant Museum presents single-character vignettes that bring the turn-of-the-century Tampa Bay Hotel staff members and guests to life with live theater in "Upstairs/Downstairs." How&apos;s this for a price: $2 to $5 suggested donation...come on...I think most everyone could do that for a great time!!!! Just call (813) 254-1891 or head over to www.plantmuseum.com to get the full scoop, but it&apos;ll be worth your time, and you might even learn a little bit about Tampa that you didn&apos;t already know! See you later everyone...and keep checking back for other Tampa Bay area events.